When I am looking to relax and have a good time, I’m all about the music. I love streaming all of my favorites and just taking it all in. It’s one of my true joys and I love it. As I’ve aged, my appreciation for music has grown and my appreciation for all the best tech has grown along with it. To get the best sound, you pretty much need the best equipment and devices, right? Now, I’m not saying you need to spend $1,000,000 or anything too crazy, I just mean the $3 headphones at the corner store probably aren’t your best option. I’ve owned and tried many, many pieces of sound equipment over the years and there have been many good ones, along with many not-so-good ones, too. While there are some names that most people would probably recognize for good reason, I’d love to talk to you about a brand and product that I’ve come across that probably checks most, if not all, of the boxes on your awesome stuff checklist. The brand is Sennheiser and the product is MOMENTUM True Wireless Earbud Headphones. These babies are available at Best Buy right now. I love the Sennheiser MOMENTUM True Wireless Earbud Headphones for a laundry list of reasons. Everything from design to sound and everything in between. These headphones are jam packed with awesome features that both audiofile as well as casual music listeners are sure to really love. Sennheiser’s flagship MOMENTUM range of headphones continues to break new ground through an outstanding fusion of advanced technology, uncompromised sound performance and the highest quality materials. 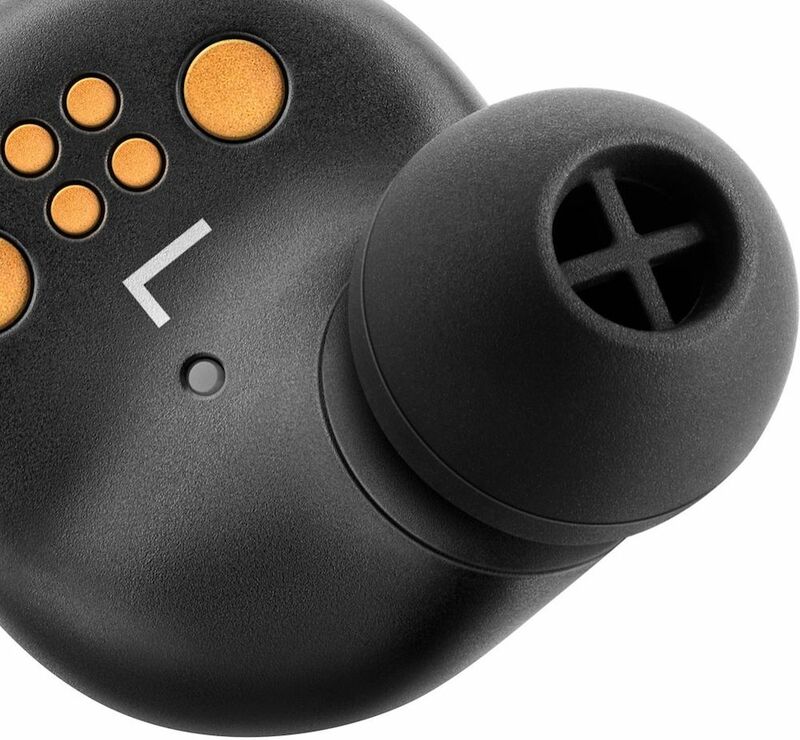 The premium Bluetooth earbuds set new standards for audio quality, comfort and craftsmanship. First, and probably most important, the listening clarity of these bad boys are pretty much like ’being there’ thanks to Sennheiser’s category-leading wireless sound technology. Next up…awesome design. The Sennheiser MOMENTUM True Wireless Earbud Headphones feature an ergonomic design that really provides an immersive and consistently comfortable listening experience. This slim, lightweight design with ear tips comes in 4 sizes for all day comfort. These headphones have all the newest tech available, making for a really great experience. 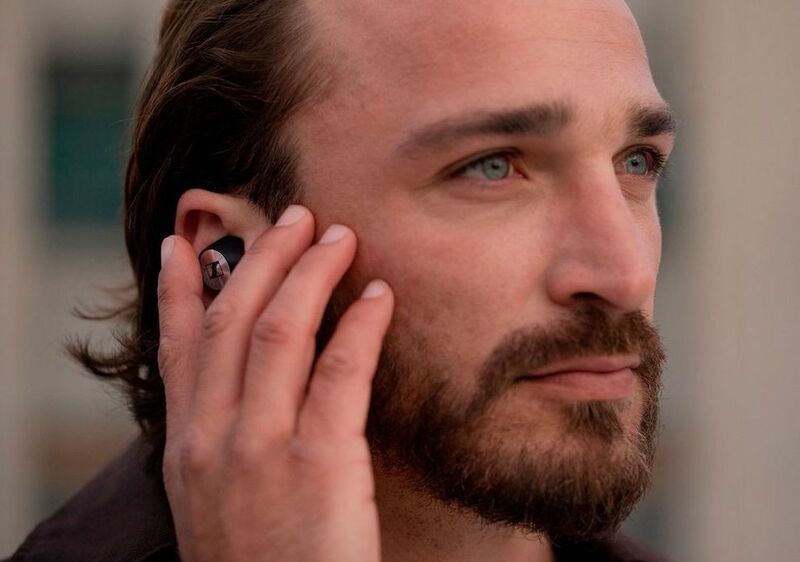 I love the fingertip control of calls, music, and voice assistant through touchpads on each earbud. That’s one tap access to Google Assistant or Siri. As easy as this is to use, there’s something even easier! Smart Pause is where your music pauses the second you remove an earbud!! I also love the Hassle-free connection via Bluetooth 5.0 and low latency for perfect audio and video sync. Talking is even easy with the Two-Mic Beam technology for High-quality voice pick-up even in noisy conditions. The headphones are also made to last, with durable splash resistant (IPX 4) materials. Charge lasts up to 4 hours of listening per charge with 2 additional charges from the case. This extends battery life for up to 12 hours!!! These headphones really offer a world-class experience in just about every way. From looks to feel to sound, Sennheiser MOMENTUM really have you covered at a good value. 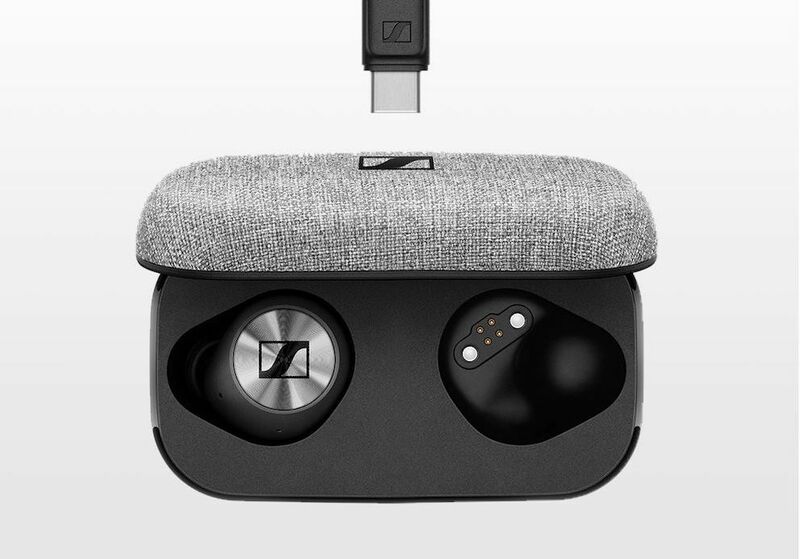 To find out more about this great addition to all of that good listening pleasure, be sure to check out Sennheiser at BestBuy.com and search #MOMENTUMTrueWireless and #momentumTW!! I was always hesitant about wireless headphones. The ones I tried were not even close quality-wise to the conventional ones. I believe it is time to give this another try! Although I am not too comfortable using headphones but this seems to be a great product to try out. I have a pair of these, and I freaking love them. I highly recommend getting that companion app from GooglePlay, as well. I am still old school with my wired headphones that came with my phone (boooo!) I definitely need an upgrade and Sennheiser MOMENTUM looks like the earbuds for me! I just got a pair of these and I love them. I have only had them a few days, so I am not fully aware of all I can do with them, but the sound is great! I like the idea of having high tech cutting edge earbuds. The current earbuds I use came with my iPhone and they fall out when I run. The Sennheiser Momentum True Wireless Earbud Headphones seem to be a good option. Thanks for your feedback on the MOMENTUM True Wireless Earbud Headphones. For some reason, wireless earbud headphones are just not for me. My husband gave me the Apple brand, and I returned them and got the BEATS headphones which I prefer much better. I love a good set of wireless headpones. I was so excited to get a pair of beats for really cheap on black Friday this year. It was money well spent! I need wireless headphones for the gym! I use headphones with wires and well… it’s not the most comfortable or practical. How are these for workouts and such? Do they fall out? I like the idea of wireless headphones. It makes it easier while working out. You can run and not have to worry about the wires.